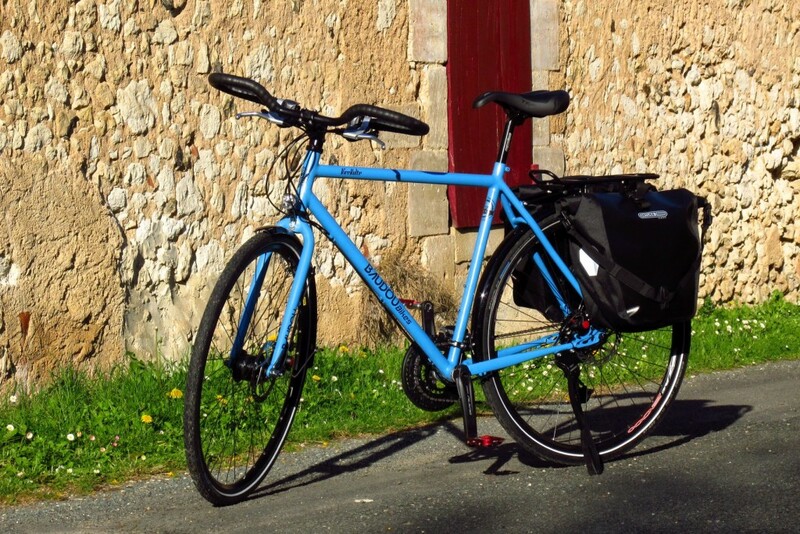 For his 30th birthday, Antoine has decided to get himself a custom travel bike. 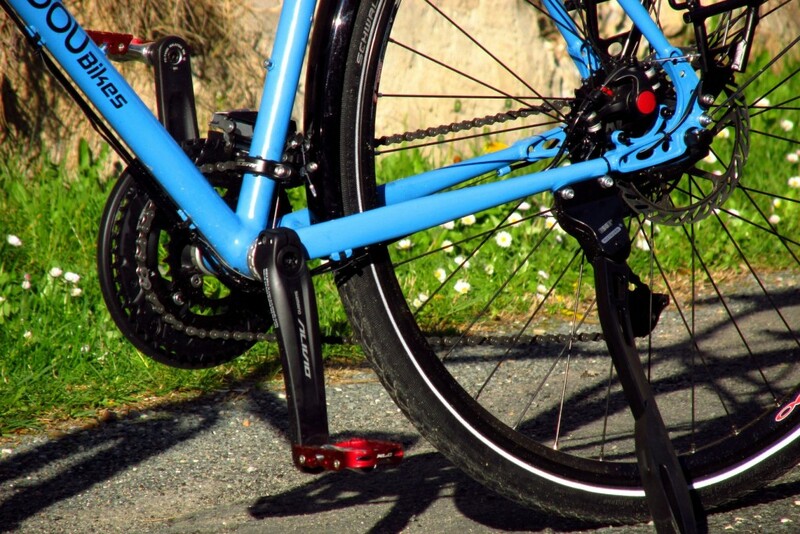 To do so, he contacted us and we discussed the characteristics of the bike. 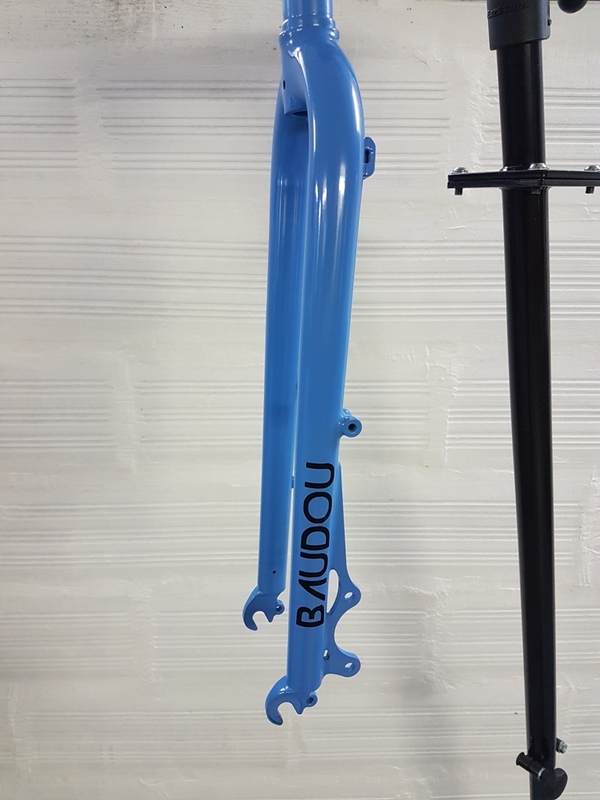 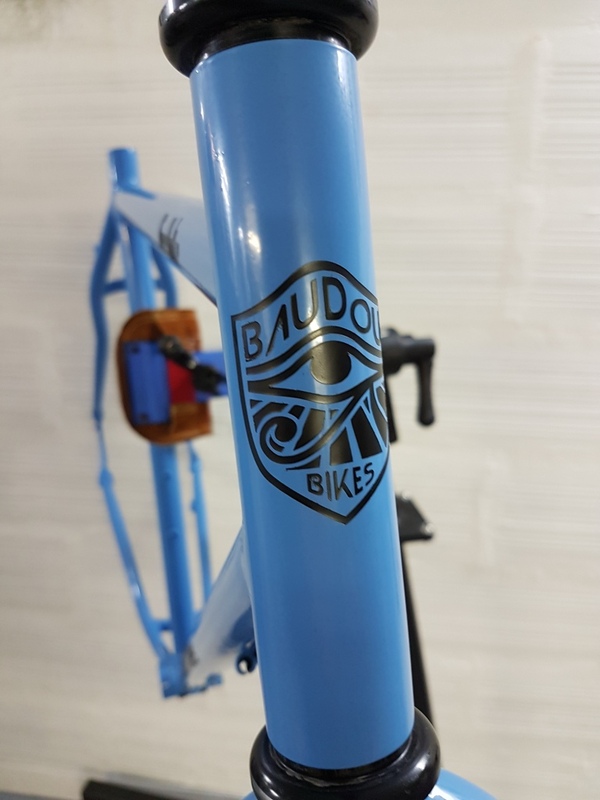 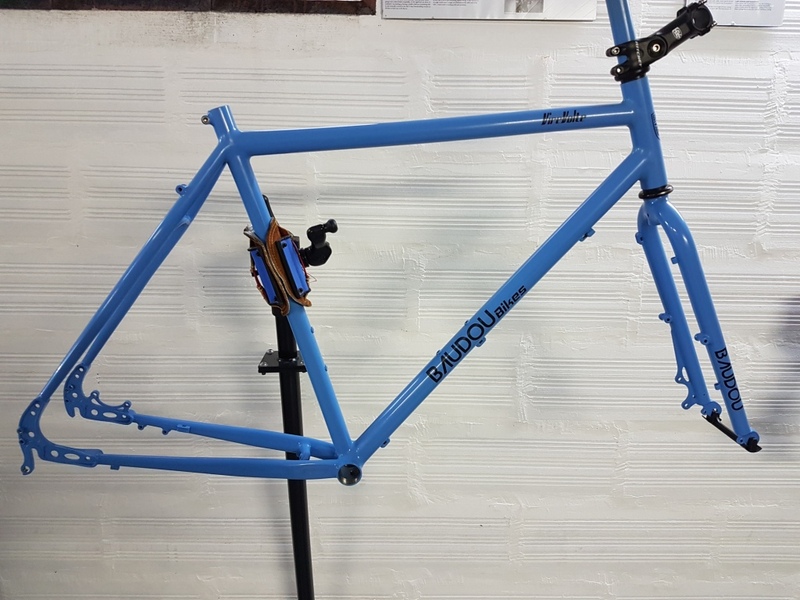 When Antoine came to realize his bike fit we were able to define more precisely the details of the project such as the fixation of the mudguard, the kickstand and the type of braking for example! 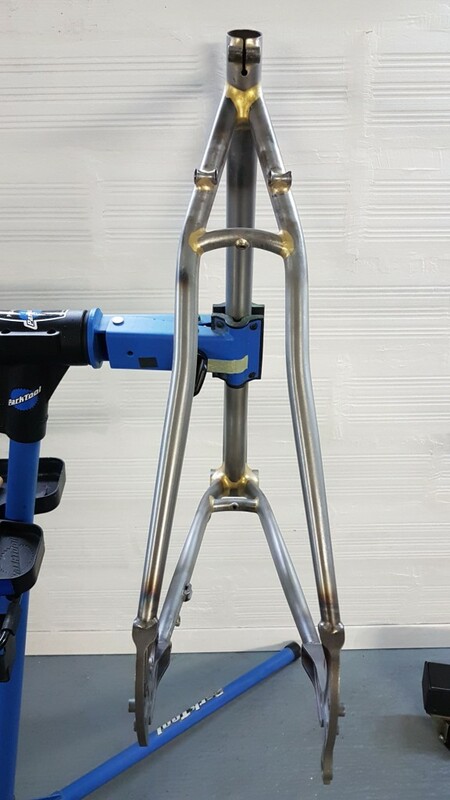 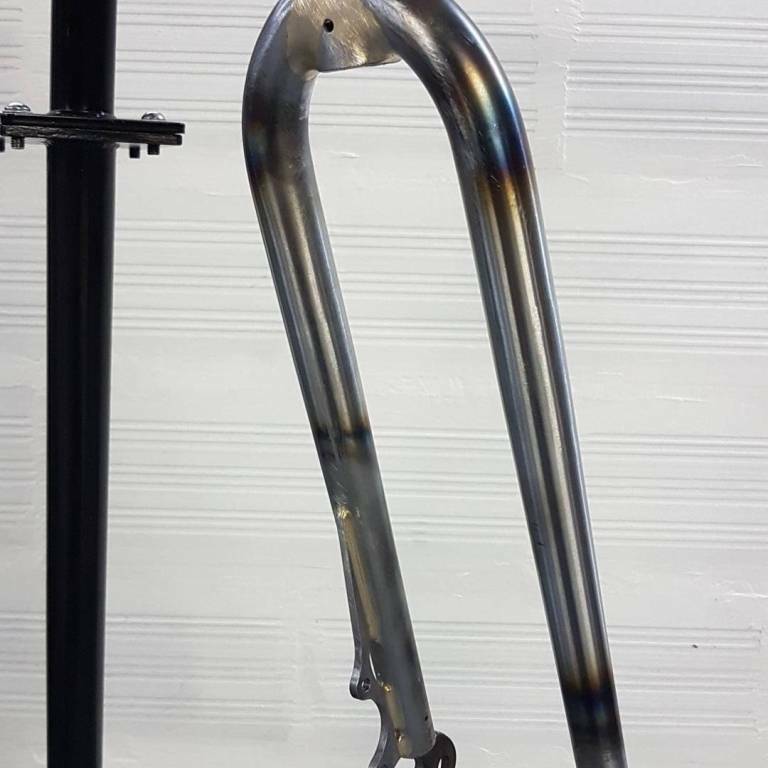 Antoine ordered me a kit frame, that is to say that I had the pleasure to make the frame and the fork for him. 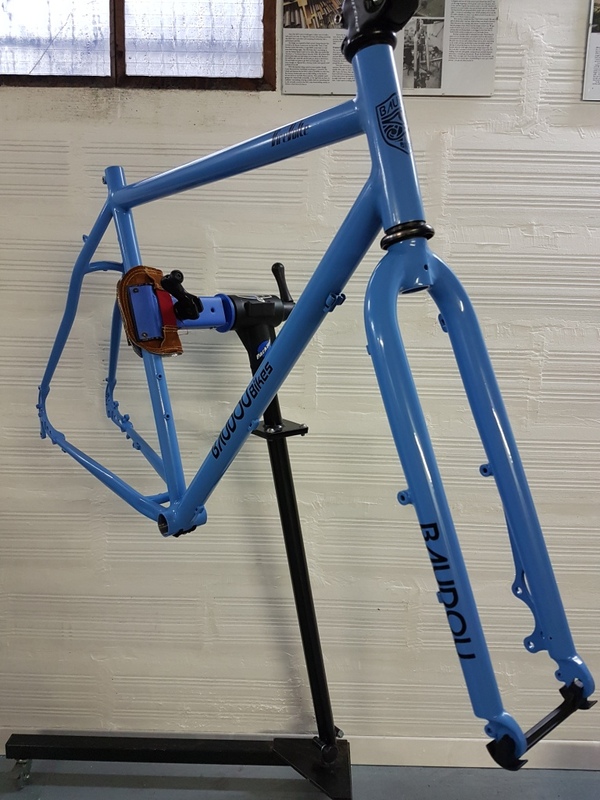 This time, I am not taking care of the final assembly of the bike. 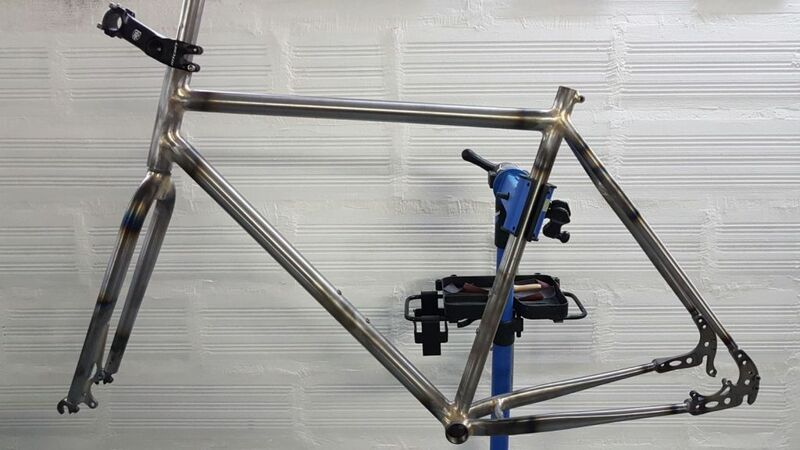 This will be done in Grenoble at the Café-vélo.